During his first two years in Duluth, Hugh worked as a foreman for an independent contractor. He then took a job with the construction firm of Watterworth & Fee, and in that position oversaw the construction of Lincoln School (1890) and Duluth Central High School (1892). The next year he became superintendent of construction for the Duluth Public Schools, a job he held until about 1900. That was a busy time for school building in Duluth, and Fawcett oversaw the construction of many schools, including Adams, Jefferson, and Monroe. When Fawcett resigned the school post he and business partner Harry Pearson started the contracting firm of Pearson & Fawcett The firm won bids on some important building projects in downtown Duluth, starting with the new Carnegie library at 101 W. 2nd St. in 1901. Pearson & Fawcett also constructed the building that housed the Yale Laundry at 30-32 E. 1st. St. Haley’s Restaurant building at 214 W. Superior St., the Metropolitan Opera House at 602 W. Superior St. (built in only 14 weeks), and a business block at 2nd Ave. W. and 1st. St. Fawcett and Pearson split up around 1904 when each started his own construction business. With his own company, Fawcett constructed an amazing number of buildings in Duluth and Northeastern Minnesota. In Duluth they include the Kensington Apartments at 1422 E. 3rd St., a business block at 25-27 E. Superior St. for Charles Schober to house his Vienna Bakery and Café, the Berkshire apartments at 731 E. 1st St., the Barrington apartments at 115 North 8th Ave. E., the Hillside Fire Station at 901 North 7th Ave. E., and the Liberty School at 106 E. 3rd St. Outside of Duluth, Fawcett’s projects include the Rex Hotel in Baudette, the Nashwauk Village Hall, the Two Harbors Grade School, and the Tower School Building. Fawcett was also interested in politics. In 1908, he ran unsuccessfully for First District St. Louis County Commissioner. In 1918, he ran for Minnesota Representative for the 58th District. 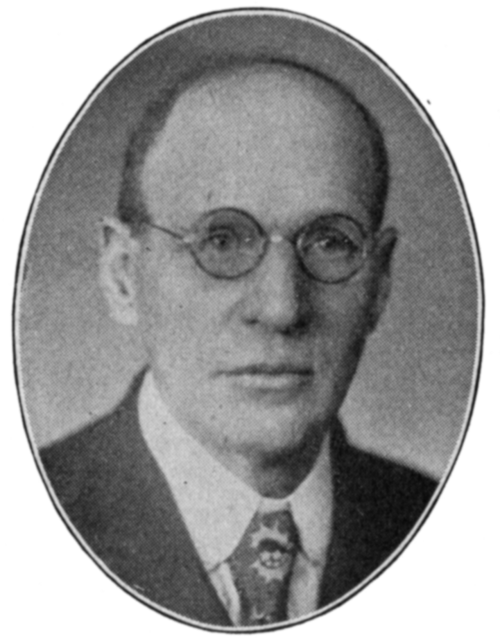 He won a seat in the 1919-1920 legislative session, representing central Duluth and Duluth Heights as well as part of St. Louis County outside of Duluth. Hugh and Emily Fawcett had four children: William E., Frederick Charles, Amelia, and Gilbert. The couple remained in Duluth for the rest of their lives. Hugh died on May 24, 1941, and Emily died on December 11, 1957. They are buried in Forest Hill Cemetery.